bluetooth news and reviews for Windows Mobile Pocket PC, Palm, Microsoft Smartphones and Symbian cell phones. If you happen to be walking by the Hard Rock Cafe in San Francisco, CA. and you happen to have your cell phone turned on, you may notice something odd on your phone, coupons for the restaurant appearing out of thin air. The new offering known as Bluetooth Proximity Marketing created by Intera Inc. allows the Hard Rock Cafe to send short length (Up to 100 feet) bluetooth announcements to cell phone users, allowing for a new type of geographic centric advertising. After the announce of BlueMouse 1.0 Teksoft has made this mouse driver for Windows Mobile available. BlueMouse is an advanced software that will allow Pocket PC users to experience the confort of having a wireless bluetooth mouse for their mobile device. So if you like to use any Bluetooth mouse (including the ones for regular PC computers) with Pocket PC, now you can. To use a mouse on a mobile platform is more then a technological curiosity. You save time and your work experience becomes more pleasurable. BlueMouse makes another step toward bringing the Desktop platform closer to the mobile. With BlueMouse, you use your Pocket PC in the way you've always wanted, and in the same time your Bluetooth Mouse becomes once again your favorite toy, as BlueMouse allows it to function again, attached to your pocket pc. * Highly configurable: Customize your cursor, or the Mouse actions. We have provided a list of over 17 custom actions for your mouse. With a click you can open a program, open an applet, switch to another task, close the current task, or even scroll up or down your documents while reading! * Unlimited trial: we have provided an unlimited trial version so you can see how useful BlueMouse is. Teksoft BlueMouse 1.0 supports all Pocket PC with Microsoft Bluetooth Stack (WM5.0 and WM6.0) and is available for buy and try here. Teksoft, who develops for WIndows Mobile, has announced that on Monday, 21 May, 2007 they will release their latest application called BlueMouse. BlueMouse is an advanced software that will allow Pocket PC users to experience the confort of having a wireless bluetooth mouse for their mobile device. With its concept BlueMouse makes another step toward bringing the Desktop platform closer to the mobile. If you want to know more about BlueMouse visit Teksoft's forum section. Owning the ultimate PC remote control for your Series 60 smartphone will change the way you listen to music and use your computer. Enjoy a degree of freedom that you'll never want to give up. ControlFreak Media Control Utility Series 60 is new application as you can guess for Symbian Series 60 phones which enables you to control Winamp and the rest of your computer with your via Bluetooth. It has all of the music and video controls like play, pause, stop, next, previous, fast forward, rewind and volume. ControlFreak 2 is now even better at controlling music and video thanks to full Winamp Media Library support. One of the most amazing features of ControlFreak is the spectrum analyser. You can get up to 40 frames per second of real-time spectral analysis of the music your listening to. The spectrum analyser in ControlFreak 2 is powered by our own advanced latency compensation technology that makes sure the spectrum analyser stays synchronised with the music even as you're moving around the room. Since your computer can do a lot more than play music and video, so can ControlFreak 2. Perhaps the most exciting new feature in ControlFreak 2 is Desktop Control. Use it to do almost anything you normally do with your computer but from anywhere in its Bluetooth zone. ControlFreak Media Control Utility Series 60 is available for free download at Symbian Freeware site. Windows Mobile software developer Karen Tamrazyan has made available new application for chat over Bluetooth called Keep Bluechattin. Keep Bluechattin is a free, simple, Bluetooth-chatting (Bluechatting) application. It allows you to initiate chat with virtually any Bluetooth device via sending out and receiving unsolicited messages in form of e.g. vCards. It can also perform iterative range scanning and automated message broadcasting. Keep Bluechattin v1.0 has Pocket PC and SMartphone versions for Wm2003 and WM5 is available for free download at Freeware Pocket PC site and Smartphone Freeware site. btIO is a just released simple Bluetooth Mode Switcher for Pocket PC devices that resides in the tray. As the developer says it "should" run Windows Mobile 5 based PocketPCs with the Microsoft Bluetooth Stack. To enchance your Pocket PC with this Bluetooth Mode Switcher you need to download it from here, then Copy the CAB file to your device and start it. Install the program wherever you want (device rom or storage card) and after doing that a shortcut in the autostart folder is created. You can switch between connectable, disabled and discoverable modes by simply pressing the icon in the tray bar. When you tap'n'hold the icon a menu apears that lets you set the mode you like, and lets you exit the program. 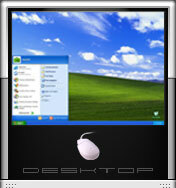 btIO bluetooth tray icon is available for free download at Freeware Pocket PC site. f-tech Solarius Mini-Solar Bluetooth GPS Receiver is now available on the market. It is selling for around USD80 in the US or for around 15 pounds to the UK on eBay from Hong Kong. The good news, of course, is that you don't need continual daylight to charge it. There's a battery inside which will power the device and can be charged from many sources - AC power or daylight. The bluetooth GPS receiver features 32 parallel satellite-tracking channels, automatic off when bluetooth is not in us, magnetic base and the built-in rechargeable Lithium ion battery working with Solar power for up to 30 hours operation. Mini Solar Bluetooth GPS Receiver is a total solution of GPS receiver. GPS antenna, Blue tooth transmit/receive system are included. It is designed on the most advantage SiRF III chip solution, got the full-function, and RoHS compliant, industry-level locating capacity and low prices. You can use this Mini Solar Bluetooth GPS Receiver as vehicles navigator, security system, geographic measurement, investigations or agriculture purpose. Mini Solar Bluetooth GPS Receiver operation requirement is a proper power supply and the open sky-view. This Bluetooth GPS Receiver can communicate with other electronic devices by Blue tooth interface. Built-In Flash Memory can save satellite information and do almanac refresh periodically. This will shorten Time To First Fix (TTFF) effectively. You can buy it from buygpsnow.com or for eBay.co.uk. Smaryo Co. Ltd. has just released their latest free Pocket PC applications. They are SmaryoContacts v1.0 and SmaryoMessenger for Bluetooth v1.0. SmaryoContacts v1.0 is contact management application enhanced with auto Dialing, voice message playing, full text index, calculator. - Auto dialing and play voice message. - Database is txt (UTF-8) format, easy to translate. - Export to XML or CSV or TXT. - Selected/Unselected the list item. - Auto SMS ane Email (WM5.0 only). SmaryoMessenger for Bluetooth v1.0 is Bluetooth Messenger. - Transfer file using bluetooth. - You can create phrase files by choosing. - You can send emoticons in smaryo bluetooth messenger. - Auto save chat message. Both application are available for free download at Freeware Pocket PC site. Proporta has just launched it's latest device, the Solar Bluetooth GPS Receiver. It is compatible with all Bluetooth-enabled devices that informs you of your exact location no matter where you are. You also won't have to worry about running out of batteries as solar power is always abundant (unless you live on either end of the earth which has limited sunlight per year). This device is able to send a wireless signal to a PDA, smartphone, or other mobile computers. When combined with Tomtom Go, you will be able to obtain a voice-guided route plan from your current location to your preferred destination. Unlike rival systems the Proporta Solar Bluetooth GPS Receiver adds the convenience of solar charging to an already-powerful GPS system, so it’s ideal for walkers and cyclists as well as motorists. The Proporta Solar Bluetooth GPS Receiver currently retails for $ 109.95 (you can order it here. SYMBTChat is maybe the simplest and most efficient Blutooth chat application for Symbian devices. With SYMBTChat blutooth chatting is made easy with a fully automated procedure. SYMBTChat application is meant to chat between two persons using devices which are Bluetooth enabled. The peculiarity of this program is one User can find all the active bluetooth devices in his vicinity and have a continuous chat through the application or send messages to any other device depending on whether the application is running on other device or not. If the Other device is also having the SYMBTChat application running, then they can have a continuous chat through the application. If the other device does not have the SYMBTChat application running, the message will be delivered to the inbox. Also If the other device does not have the application installed, you can share the application via bluetooth and run and have a continuous chat. Switching over between the inbox message delivery and the continuous chat through application is completely automated. SYMBTChat works on all series 60 Symbian phones and is available for free download at Symbian Freeware site.